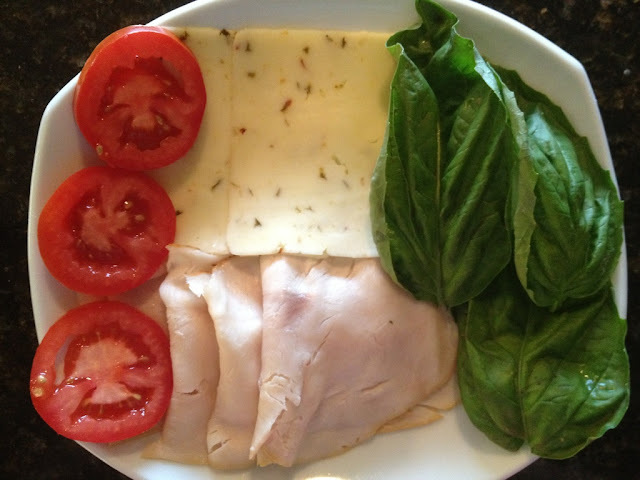 I figured I would spice up our everyday turkey sandwich with some basil. It turned out to be a great combination. 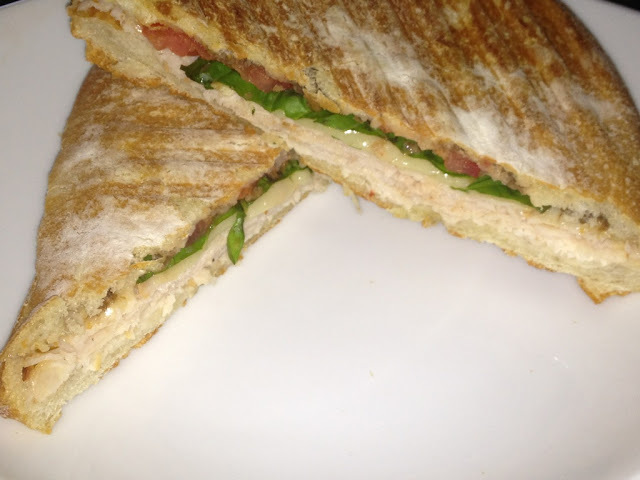 I swear every sandwich tastes better when made on a panini press. Scoop out the inside of the top half of the bread, if using ciabatta. Layer your turkey, cheese, basil and tomatoes on the bottom half of the bread and top with other half. 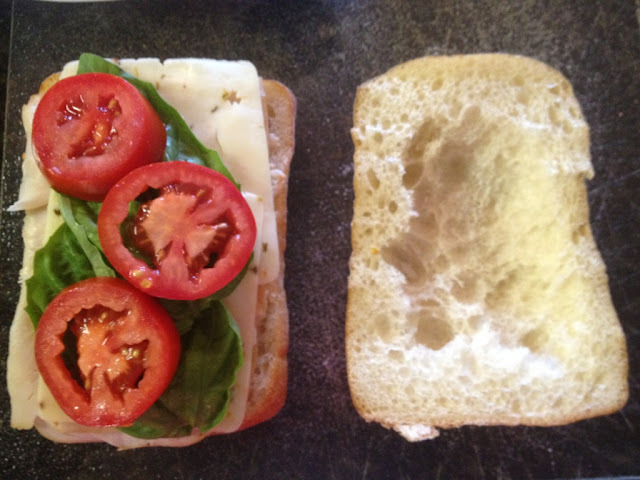 Cook on a panini grill on high until cheese melts and bread is golden brown and toasty. It was surprising to me that this sandwich did not need any condiments like mayonnaise but I am sure it would have tasted just as good if you used some. I'll leave that up to you!